No Discord Server? No problem! Join ours to use SenseiBot directly. 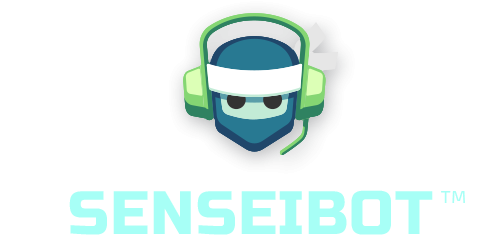 Click the button above to add SenseiBot to your server for free! SenseiBot is a trademark of the The RoCo Group, Inc. Sensei is a registered trademark of The RoCo Group, Inc. SenseiBot isn't endorsed by Riot Games and doesn't reflect the views or opinions of Riot Games or anyone officially involved in producing or managing League of Legends. League of Legends and Riot Games are trademarks or registered trademarks of Riot Games, Inc. League of Legends© Riot Games, Inc. Any other marks are trademarks and/or registered trademarks of their respective owners.